I started my tour of bake shops in Millvale which is 4 miles north of Pittsburgh along the Allegheny River. I was recommended to this bake shop by my granddaughter a French student and friends who gave this shop raving reviews. They were right. Upon entering this shop I talked with the sales people and they confirmed that Jean-Mark Chatellier is originally from the Breton District in France. 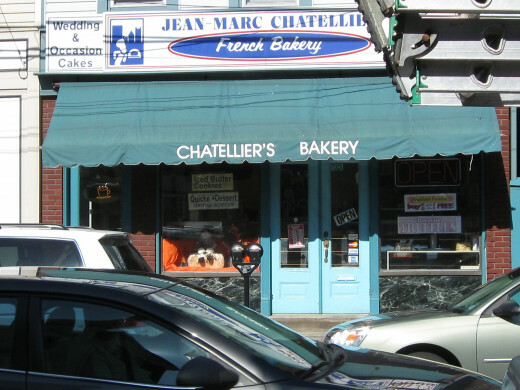 The Shop is simply named "Jean-Mark Chatellier's French Bakery." For all of you people with a sweet tooth you will not be disappointed by what you get at this shop. I was invited to try their shortbread which they had out in a sampler on top of their display cases. Oo la la!!!!! 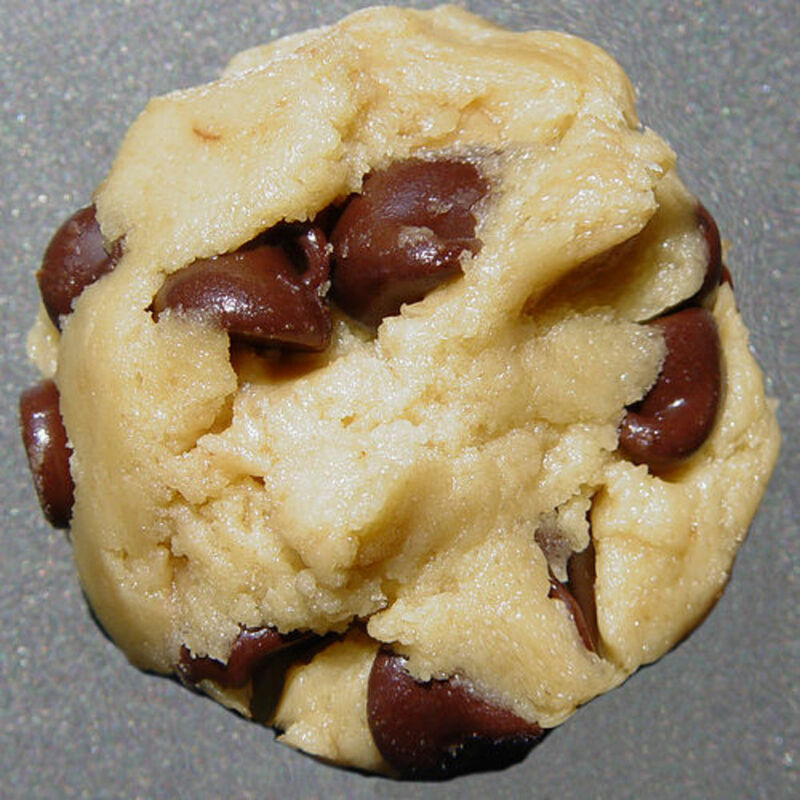 The butter taste just oozed out of these wonderfully soft dough pieces. 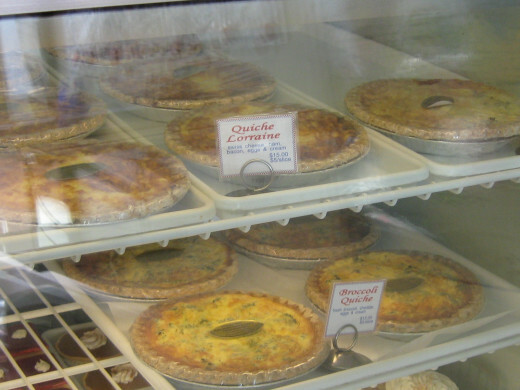 There is a sign proclaiming that Quiche is pronounced "keesh" and not quickies. There were a variety of these fine egg pies in the display case. 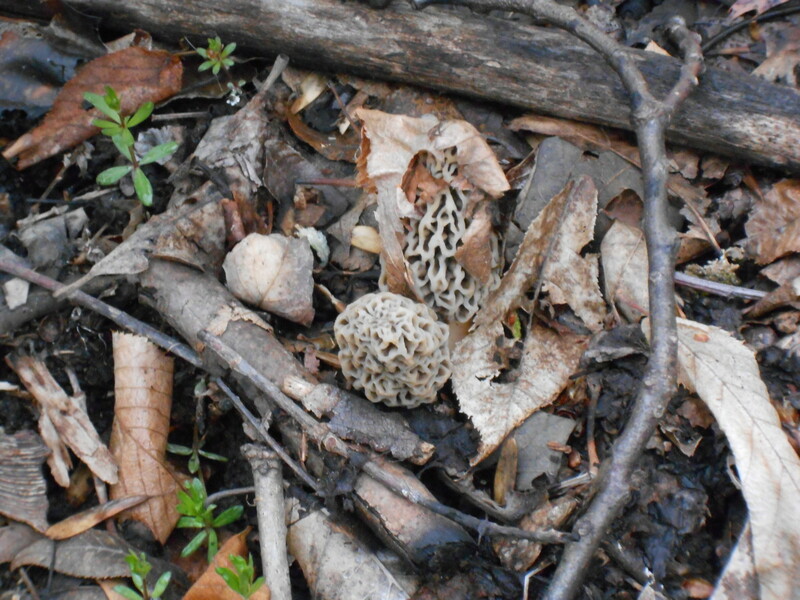 I did not get one of these but I know I will on my next visit. As I talked with the sales people, I asked if they make the Elephant Ears. They do but didn't have any to sell me. They are called palmiers in French. For those of you who don't know what elephant ears are they are large flat cookies that are flaky with a cinnamon taste. Delicate flaky, flaky, flaky cookies. 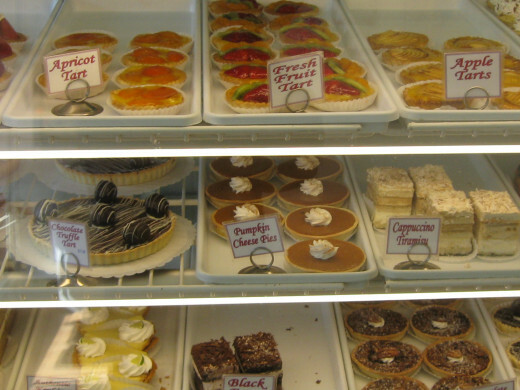 This bakery carries the ordinary everyday cakes for special occasions but the specialties were abundant in the cases as you can see in the pictures above. As far as expensive, I have to say I made some selective purchases, an apple tart, an apricot tart, a cinnamon croissant, a nut danish, an apricot danish and only paid $10. For this quality of baked goods, I don't think that is expensive. It would only be expensive if the pastries were inferior and I can tell you first hand, these were not. 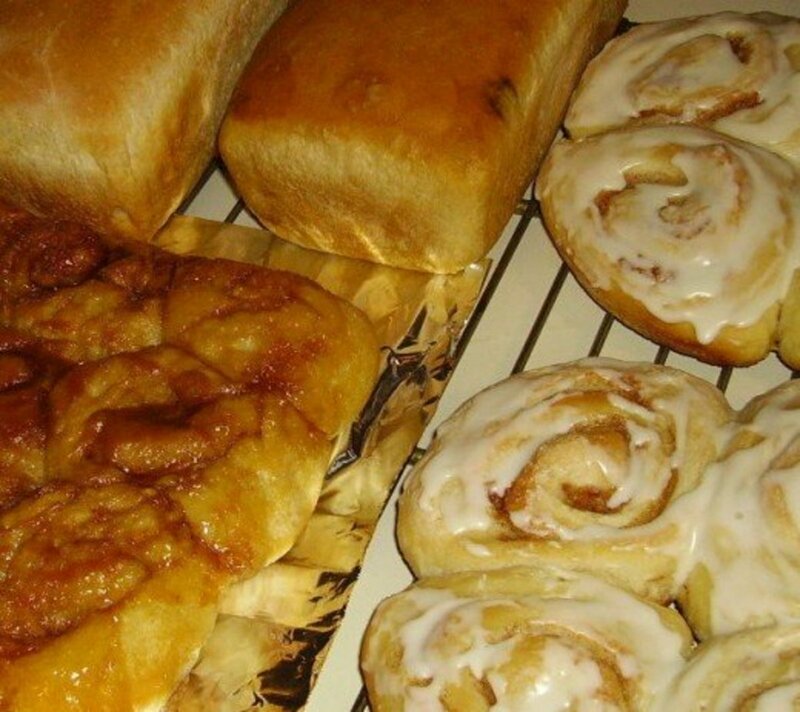 You can tell that Jean-Marc is an artisan who puts love into all of his baking. The tarts were wonderful with a delightful sweet crust, filled with a cream and layered with the fruit. 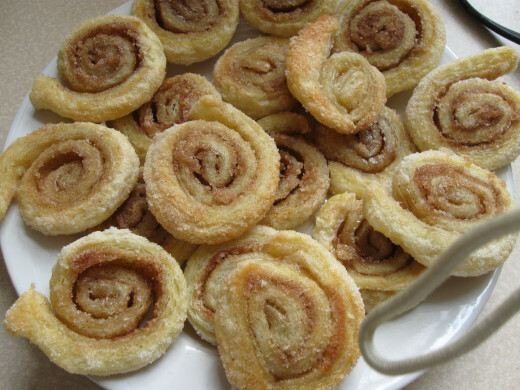 The cinnamon croissant was flaky and delicately flavored with the cinnamon. The danish was soft and flaky, just the right consistency for epicurean delights. 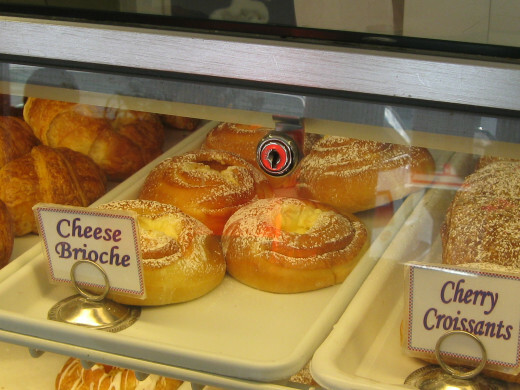 The danish has a distinctive buttery flavor and the icing is oh so wonderful. I don't know if they use a pound of butter in their recipes or are using a flavoring but the end product is tantalizingly good. As you can tell I have a sweet tooth and I'm very choosy about what I buy from any bakery but I will continue to patronize this wonderful find. Great job Jean-Marc!!!! !